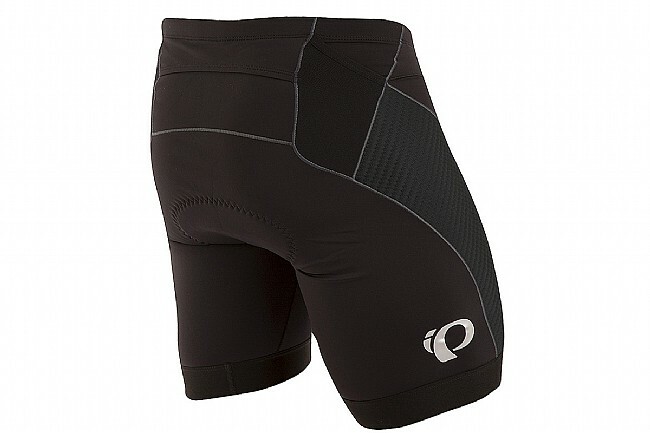 Pearl Izumi's Elite Pursuit Tri Short is one short that won't leave you playing catch up. A body stitched in a multi-panel anatomic design from Elite Transfer In-R-Cool® fabric is treated with coldblack® to reflect heat and keep you cool in direct sunlight. At the bottom, plush elastic grippers and a slightly longer length provide increased muscle support that stays put, and inside, the Anti-Odor Chamois is designed for a smooth interface and efficient moisture transfer without bunching up or getting in the way during the rest of your triathlon. Love PI clothing. Almost all my cycling clothing is this brand. These shorts are an exception. Inseam was too short and large fit like a medium. 5'11 185, 35 waist. Returned.